Opened just a few years ago, the route is part of National Cycle Route 13 and leaves the road at Purfleet, where it passes through the RSPB reserve of Rainham Marshes, which was once an MOD firing range and seems to include parts of which include and Aveley and Wennington Marshes. 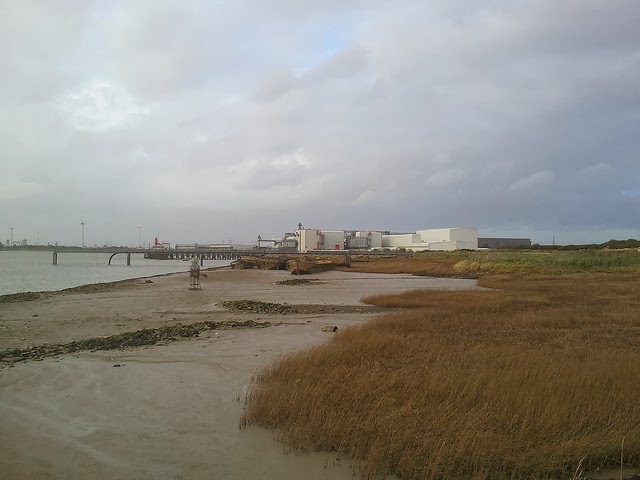 It then skirts between the Thames and the poetically-named Rainham Integrated Waste Management Facility, before arriving eventually at Rainham Barge Graveyard and then providing an off-road route to Rainham, including a special bridge over the HS1 railway line. It's flat, almost exclusively traffic-free and well worth making the journey for, especially on a nice day.